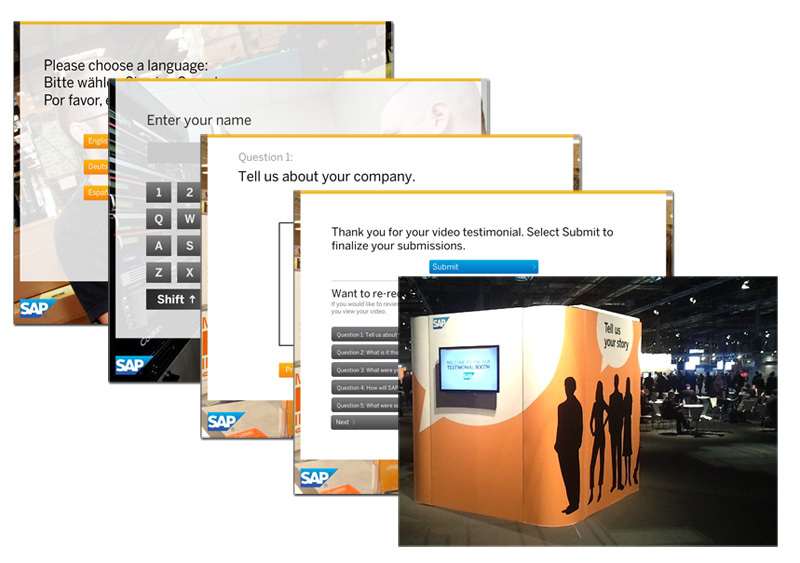 Working with the Concept Farm of NYC and EWI Worldwide, we created an interactive video testimonial booth for the software giant SAP. The booth is an automated HD video/audio capture system with instructions and questions in three languages, English, German and Spanish. The videos are captured and downloaded every night from the show floor, then edited together to create compelling personal stories of what it is like to work for SAP and also to be a vendor and customer.